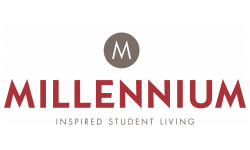 Millennium features inspired student living in Norman with resort-style apartments just steps from the University of Oklahoma. Welcome to Millennium! We offer inspired student living just steps from the University of Oklahoma. Our community is perfectly designed for OU students where you can relax after class in our resort-style pool or stay active in one of our recreational fields. 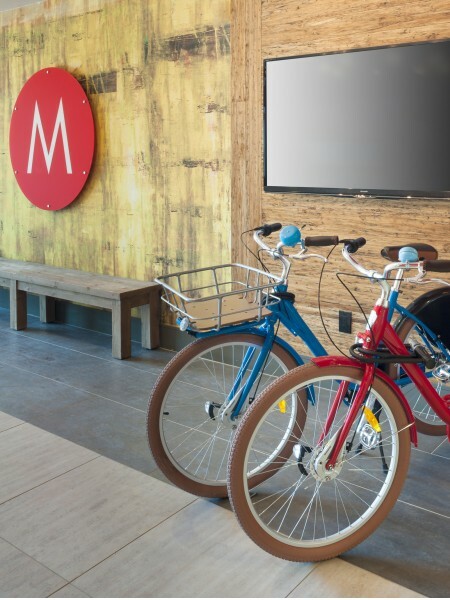 Our Internet/Cable Package, modern furnishings, and 48” flat screen smart TVs make Millennium the best off-campus housing that you’ll find in Norman. Inspired student living steps from OU! Discover our resort-style community in the heart of Norman. Boomer Sooner! We LOVE pets at the Millennium!! We allow cats and dogs for a non-refundable fee of $200 and $25/monthly which will be added to your rent. ALL pets must be registered with management and pre-approved by roommates. Smoking is not allowed anywhere on property.